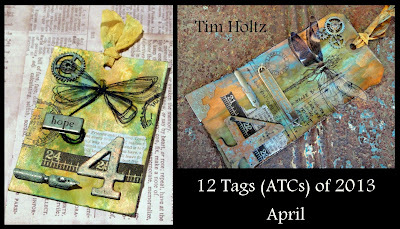 Here is my April tag of the month along side Tim's. 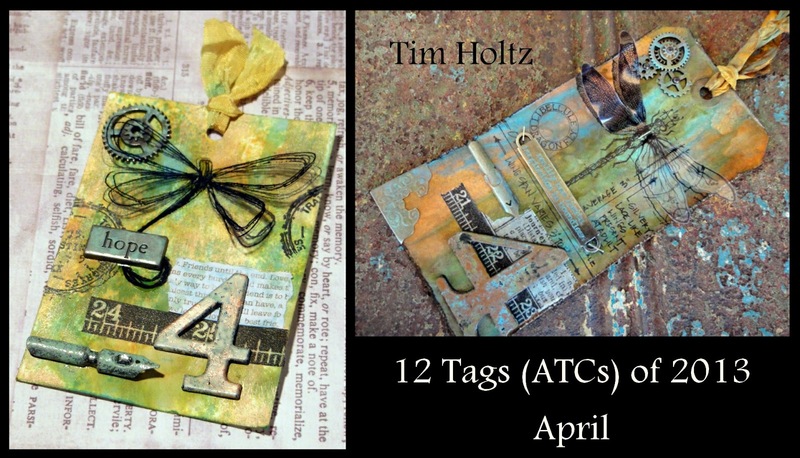 Not owning any of the Distress Paints that were featured on Tim's tag, it really was a challenge to create. I used, Ranger paint daubers and distress ink pads to create my background. I love it Jocelyn, it's beautiful. Oh it is so beautiful. I love love it !